While the computer OEMs still pay most of the claims, they've been very successful at cutting the percentage of sales they spend on warranty. Meanwhile, suppliers such as disk drive makers have also streamlined their warranty outlays, but the peripheral makers haven't been so lucky and are watching costs rise as a percentage of sales. As we've seen in the automotive and aerospace industries, the customer-facing OEMs end up paying most of the warranty claims. It's the same story in the computer industry, where a handful of brand names pay not only more money than their suppliers, but also a much higher percentage of their revenue. The good news is that the computer OEMs seem to have unlocked the secret of how to make the same amount of money go further. As we'll see in this week's series of charts, their warranty costs are more or less the same as they've been for years, but those expenses are shrinking as a percentage of sales. First, let's take a look at claims payments in the computer industry over the past nine years. Figure 1 includes data for claims paid by the computer OEMs, by the data storage companies, and by the peripheral manufacturers. Notice that in any given year, the OEMs pay four or five times as much as the data storage and peripheral manufacturers combined. All of this week's data covers the worldwide warranty expenses of just U.S.-based manufacturers. So computer manufacturers such as Sony, Lenovo, Toshiba and Acer are not included. Nor are printer manufacturers such as Canon, Epson, Brother or Okidata. But the worldwide warranty spending of HP, Apple, Lexmark and other U.S.-based companies is included. In Figure 1, it's pretty clear that the computer industry had a rather slow 2009. However, it wasn't really much of a dip. Claims fell by about 9% overall in these three segments during 2008-2009, followed by 4% growth in 2009-2010 and 6% growth in 2010-2011. So we're right back to where we were three years ago. Last year's total was just slightly ahead of 2008's sum. Claims payments by peripheral manufacturers continues to decline, but the data storage claims continued to grow faster than the 6% average last year. The 2008-2009 contraction in warranty accruals is a bit more noticeable in Figure 2 below. The total was down 19% in 2008-2009. But then accruals grew by 17% in 2009-2010, and by another 10% last year. For the first time in 2011, these computer makers and their suppliers set aside more than $7 billion in a single year to finance future warranty expenses. Within these three segments, the OEMs' accruals grew fastest last year, followed by the data storage companies. Peripheral manufacturers, on the other hand, allowed their accruals to decline by 16%, from $404 million to $339 million. The dip in 2009 is more noticeable with this accrual chart than with the previous chart for claims. One reason could be the tight coupling that's usually seen between sales and accruals, as opposed to the usual lag time between the sales cycle and claims payments. The computers that were fixed in 2009 were probably sold in 2008 or 2007. But the accruals made in 2009 were for units sold in 2009. Last year, both claims and accruals rose to new heights. But while 2011 was barely ahead of 2008 in terms of claims payments, it's clear from Figure 2 that accruals really did rise in 2011. While the industry total for claims payments was up by only $5 million from 2008 to 2011, the total for accruals was up by $243 million to a new peak of $7.04 billion. And that's after accounting for a large decrease in accruals by peripheral manufacturers. It's the same with warranty reserves. The 2011 industry total in Figure 3 is far above the levels seen at any time since measurements first began in 2003. It's up by 13% in 2010-2011 to a new high of $6.74 billion. And once again, the OEMs grew faster while the data storage companies grew slower, while the peripheral manufacturers let their reserve levels decline by 12%. Ordinarily, higher expenses would be bad and lower expenses would be good. But in the computer industry, sales are rising faster than expenses, as manufacturers find ways to squeeze out inefficiencies and reduce both the frequency and average cost of repairs. And this is a process that continued throughout the recent recession, even though sales fell dramatically. However, the computer industry saw its warranty reserve balance fall by only 5% in 2008-2009. This is smaller than the decline seen in 2003-2004. So what we're saying is that two out of the three warranty metrics failed to show much of a downturn in 2009. The one exception was accruals, which are closely tied to sales. So it's as if the warranty work continued more or less unimpeded by the recession. Figures 1 through 3 show the top warranty metrics in terms of dollars per year, or in the case of reserves, dollars at the end of the year. But we also collect sales data, and calculate the percentage of sales that goes towards warranty expenses. In Figure 4, we've charted the claims rate and accrual rate for the top U.S.-based computer OEMs from 2003 to 2011. It's pretty clear that expenses are declining, especially during the last three or four years. Back in 2003, computer OEMs were spending 3.5% to 4.0% of their hardware revenue on warranty. Last year, those rates were between 2.0% and 2.5% most of the time. So that's a radical reduction in warranty costs over the last nine years. The only data point the OEMs have ever had below two percent came during the third quarter of 2011. That was also the quarter in which the OEMs dropped their average accrual rate to 2.2% -- its lowest point ever. There's also some progress to report for the data storage companies. In Figure 5, we can see how the rates that were generally above 1.5% from 2003 to 2006 have generally been below 1.5% since 2010. The average claims rate for these 15 companies, in fact, dipped to a new low of 1.15% at the end of 2011. And once again, the peripheral manufacturers aren't following the trend. As can be seen in Figure 6, their claims and accrual rates were lowest in 2003-2006, highest in 2007-2009, and midway between those extremes in 2010 and 2011. There's also more of a "bouncing ball" effect, which is caused by the seasonal nature of some companies' claims and accruals. Therefore, measured in dollars, the computer OEMs and data storage companies had their highest claims and accrual levels of the decade in 2011. But because of strong sales growth, those amounts represented the lowest proportion of hardware revenue ever. The efficiency of the warranty process increased. For the peripheral manufacturers, it was something of the opposite story. Claims and accrual amounts were down, and so were sales, so the percentages seen in Figure 6 were about the same. No improvements were seen last year. Because we focus on the industry totals and averages, some of the individual stories get overlooked. In the March 15 newsletter we told a few of those stories as we detailed the changes in each company's claims and accrual rates. And one of the points we made was that Apple Inc. was accruing more than ever in 2011. It's nothing bad. The company's sales of iPhones and iPads are soaring, so of course their warranty footprint is getting larger every year. And sales are still growing faster than product warranty expenses, so there's no quality crisis to worry about. But in Figure 7, one can see how Apple has emerged, from the sixth-place warranty provider in the computer industry in 2003, to second place in 2011. Figure 7 details the accrual "market share" of each of the top U.S.-based computer OEMs. Back in 2003, Apple's $84 million in accruals represented less than 2% of the industry total. Even by 2009, Apple's share was still under 7%. But it grew to 21% in 2010 and then to 39% in 2011. Meanwhile, HP's share fell from 60% in 2009 to 49% in 2010 and 44% in 2011. These are annual charts. However, if we look more closely at the accruals made per quarter, as opposed to the accruals made over the course of the entire year, Apple actually passed HP to become the computer industry's largest warranty provider in the fourth quarter of 2011. HP accrued $691 million in its fiscal fourth quarter ended October 31, 2011, while Apple accrued $837 million in its fiscal first quarter ended December 31. The only U.S.-based company to accrue more than Apple during that period was General Motors. There's no story quite like that in the data storage industry. However, there is a story to be seen in Figure 8 that details the growth of Western Digital Corp., and its emergence as the main rival of Seagate Technology. And secondarily, one can see how Seagate's acquisition of Maxtor Corp. resulted in lower warranty costs than the two companies had separately. And there was one final item reflected in the charts: The disappearance of Storage Technology Corp. and Sun Microsystems Inc. Sun acquired StorageTek in 2005, and then Oracle Corp. acquired Sun in 2010. Both of these companies are drawn in yellow in Figures 7 and 8. After Sun acquired StorageTek, it added its acquisition's warranty expense to its own. In fact, one can see a bit of a thickening in the width of the Sun stripe in Figure 7 during 2006. Since we cannot divide a single company's warranty expenses with any precision between two or more industry segments, all of the combined Sun & StorageTek warranty expenses were moved to Figure 7. Oracle is also a computer company, although most of its revenue comes from sources besides warranted computer hardware. 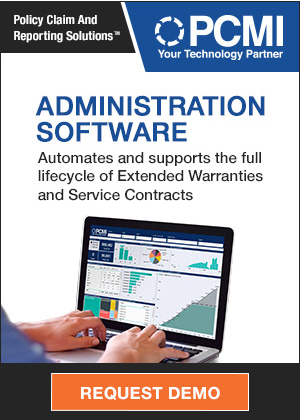 As a software company, it didn't have to use the accrual method to organize its warranty reserves, nor did it have to report changes to those reserves. IBM, Apple, HP and Dell did. But Oracle didn't. Then Oracle also became a hardware company. However, after Oracle acquired Sun in early 2010, the parent company did not begin reporting the warranty expenses of its acquisitions, as required by Financial Accounting Standards Board rules. Instead, Sun's final quarterly report in late 2009 was the last that was ever heard of that expense. Where did it go? eLayaway Inc. partners with Monthly Warranty for service contracts. Walmart honors NEW Customer Service Companies with Customer Service Award. How Hyundai Motor America went from joke to contender in the US. LED Lighting Facts label may soon include warranty information. Half the new vehicles sold in Nigeria do not have a genuine warranty. Chinese automaker BYD adds 4-year/100,000-km warranty on all models. US Fidelis founder Darain Atkinson pleads guilty to federal charges. Miele UK offers 10-year warranties on washing machines sold in April. Playing the extended warranty odds. Connecticut may expand its pet warranty law. Air India loses millions due to warranty claim mismanagement. American Financial & Automotive Services renews Assurant Solutions partnership. Offer on sewer warranties in Milwaukee creating questions. Certified Foundations & 2-10 Home Buyers Warranty offer sinkhole warranties. What it costs to fix iPhones and iPads. US Fidelis founders indicted on federal conspiracy & tax charges. ThinkSmart says its contract with the Warranty Group will not be extended. Old Republic reverses itself on claim it denied for a pre-existing condition. EU law forces Apple to highlight two-year warranty. SquareTrade acquires TechForward's Guaranteed Buyback program. Geek Squad sends renewal notice out four years too soon, then delays refund. Isuzu Commercial Truck of America	expands warranty coverage for pre-owned trucks. Warranty in automobile industry: Any guarantee? Soventix Canada extends workmanship warranty to 10 years. Domestic & General selects Sword Ciboodle CRM software & web portal. LKQ's warranties now cover injury or damage caused by a defective part. Assurant Solutions to add 50 new call center jobs in Miami. Assurant Solutions to add 125 new call center jobs in Albany, Oregon. EVGA introduces transferable international warranties for all its products. Apple modifies its product warranty program in the European Union. Insured Auto Warranty offers family discounts on vehicle service contracts. Consumer Reports says 2/3rd of service contract buyers never recoup their money. Killeen TX warns residents about misleading home warranty letters. Mapfre & Middlesea offer mechanical breakdown insurance in Malta. Apple clarifies warranty coverages for European Union customers. Assurant Solutions to phase out operations at its Lawton OK call center. REC certification program for solar installers includes longer warranties. HomeServe USA foresees 1m water service line emergencies in 2012. Customer missed servicing intervals, so car's warranty is void. AAA says review warranty and maintenance costs when shopping for a new car. FTC puts warranty robocaller SBN Peripherals out of business. Wind turbines coming out of warranty need repowering & retrofitting. Automakers still say 15% ethanol will damage engines. Fisker Automotive lengthens warranties in North America and Europe. General Motors using Lego blocks to log warranty repair progress. Guardsman denies claim, says sweat is not a covered bodily fluid. Dentures Online Inc. unveils extended warranties. Pet warranty bill goes before Maryland Senate Finance Committee. Service Line Warranties of America offers program in Milwaukee. Forbes calls Mercury Insurance one of America's Most Trustworthy Companies. Computer Warranty Report: Traditional laptop and hard drive sales are declining, while smartphone and solid state storage sales soar. However, the change in product mix is raising warranty costs for some manufacturers such as Apple.